Britain's neglected history of nuclear accidents makes the case for a new safety regime. HMS Illustrious in Portsmouth Harbour Aircraft Carrier, April 2009. 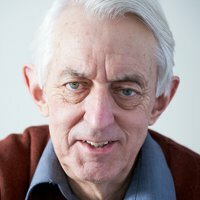 Wikicommons/Peter Trimming. Some rights reserved.An earlier column in this series looked at the unknown or neglected history of accidents involving nuclear weapons. Much of the secrecy that shrouds nuclear issues, above all their actual targeting, is the result of deliberate supprerssion by governments with the collusion of the media. Accidents, though, seem to occasion their added element of secrecy, probably because of the particular embarrassment arising when a supposedly ultra-safe and reliable system comes unstuck (see "North Korea: a catastrophe foretold", 29 September 2017). The excellent Chatham House study Too Close for Comfort: Cases of Near Nuclear Use and Options for Policy (April 2014) examines incidents where nuclear weapons came uncomfortably close to actual use. Among many examples, one of the most remarkable is a collision between two ballistic-missile submarines during the night of 3-4 February 2009. "[The] United Kingdom’s HMS Vanguard and France’s FNS Le Triomphant, two nuclear-powered, ballistic missile-carrying submarines (SSBNs), collided in the Atlantic Ocean”, says the study. It acknowledges that there was very little risk of an accidental nuclear detonation, but finds it difficult to say why the collision took place. A few details emerged through freedom-of-information requests, but these raised even more questions than were answered. This incident may have been more at the level of accident than risk of detonation. But that still raises the issue of the supposed invulnerability of nuclear systems to mistakes, including potentially catastrophic ones (see "A quick guide to nuclear weapons", 8 February 2018). 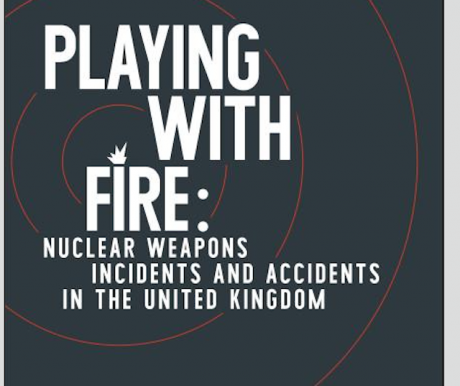 The dangers are explored in another report, Playing with Fire: Nuclear Weapons Incidents and Accidents in the United Kingdom (September 2017), published by Nuclear Information Service. The meticulous research of this small UK-based NGO uncovers worrying aspects of the British nuclear system. Indeed, much of the information about these and other aspects of the nuclear world only seeps into the public domain because such dedicated independent observers are ploughing away in the background. * seventeen incidents that involved United States forces and nuclear weapons, in the UK and its coastal waters. The report also finds that forty-five accidents have happened "to nuclear capable submarines, ships and aircraft, including collisions, fires at sea and lightning strikes", of which twenty-four "involved nuclear armed submarines”. To understand the background to this report, the fundamental nuclear-weapons structure in the UK is a good place to start. These weapons are developed at the atomic-weapons establishment at Aldermaston, west of Reading; manufactured at nearby Burghfield; deployed on ballistic-missile submarines based at Faslane, near Glasgow; the warheads stored at the Royal Navy armaments depot at Coulport. The weapons are transported between the sites by road. Because these use public highways and are frequently tracked by anti-nuclear activists, much of what is known about accidents relates to those occurring in transit. Playing with Fire finds that one of the worst accidents happened on a cold day in January 1987, when two large warhead-carrying trucks – part of a larger convoy transporting six tactical nuclear bombs from Portsmouth to the naval armaments depot at Dean Hill – were involved in a collision. In the course of the accident one of the trucks tipped over into a field when the road verge collapsed, landing on its side. The overturned truck was carrying two WE177A warheads, each rated at about the power of the Hiroshima bomb. 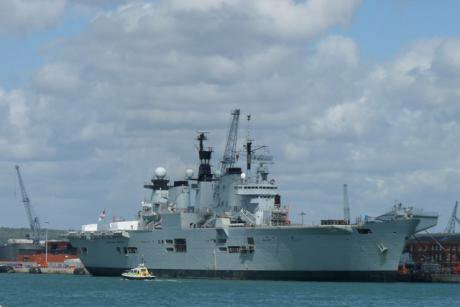 They had probably been unloaded from HMS Illustrious, an aircraft-carrier berthed at Portsmouth. A full-scale emergency was declared. Additional armed personnel and specialist troops were deployed, and logistics specialists worked through the night in sub-zero temperatures in a recovery operation that lasted eighteen hours. There have been many other accidents affecting the UK nuclear weapons industry, the worst being the fire at one of the plutonium production reactors at what was then known as Windscale (now Sellafield) in 1957. One of the great values of Playing with Fire is that it brings into the open an element in Britain’s nuclear posture which is almost entirely ignored in the establishment press and broadcast media. * support an international ban on nuclear weapons. Not everyone will support the last proposal, but the first two should really not be controversial. Indeed, wider dissemination of this report may well help cement that view. Screen shot. Title-page of 'Playing With Fire'.